These pages present a guide to danish nature and vegetation. Through a map of Denmark you can travel in the danish landscapes and enjoy photos of typical and rare species of plants. Click here to start the travel. Or click on the subjects below to know more about danish nature or my interests. 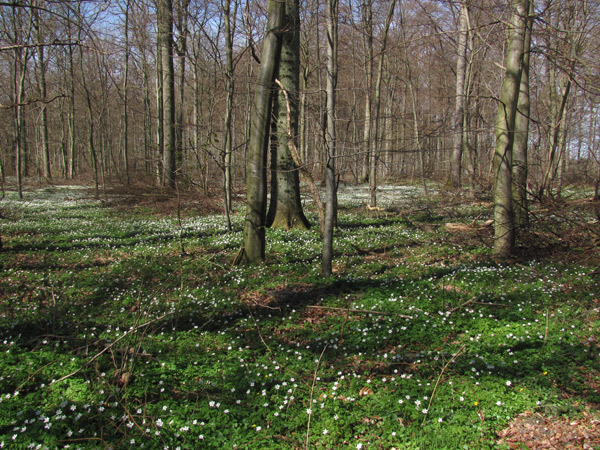 Spring in the danish Fagus sylvatica wood with the white Anemone nemorosa. Last edited 17. december 2011.